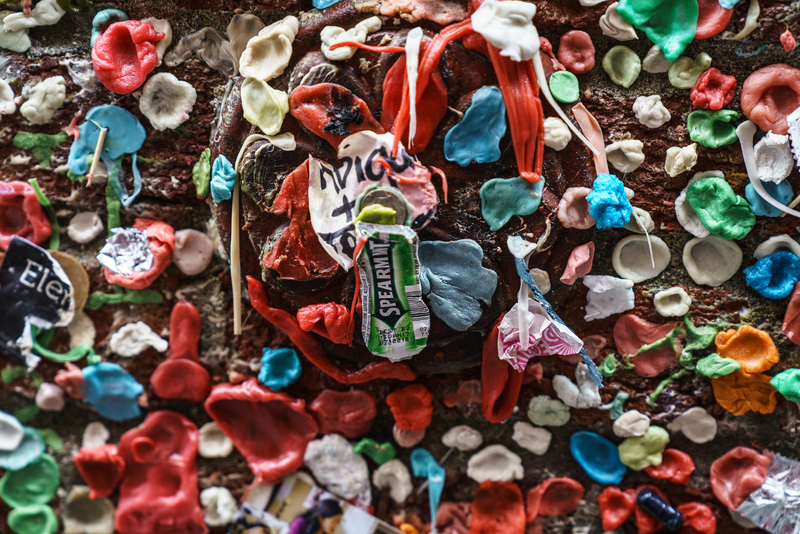 Here's the grossest wall in the world, the Gum Wall under the Pike Place Fish Market in Seattle. 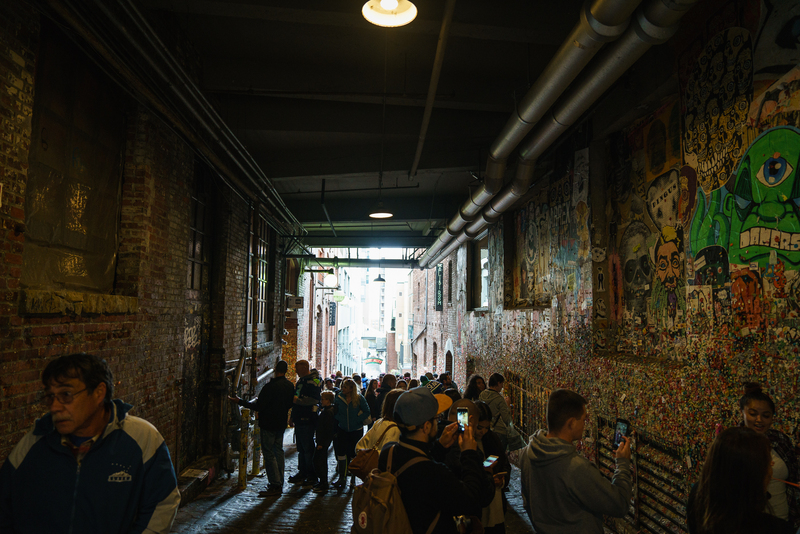 It's an entire brick wall of Post Alley that passersby have covered with gum and art. It was definitely not something I was expecting to see! I didn't meticulously research every nook and cranny of Seattle before visiting, and I'm sure I missed some odds and ends I might have liked to see. But that had the virtue of preserving the thrill -- and revulsion! -- of discovery. 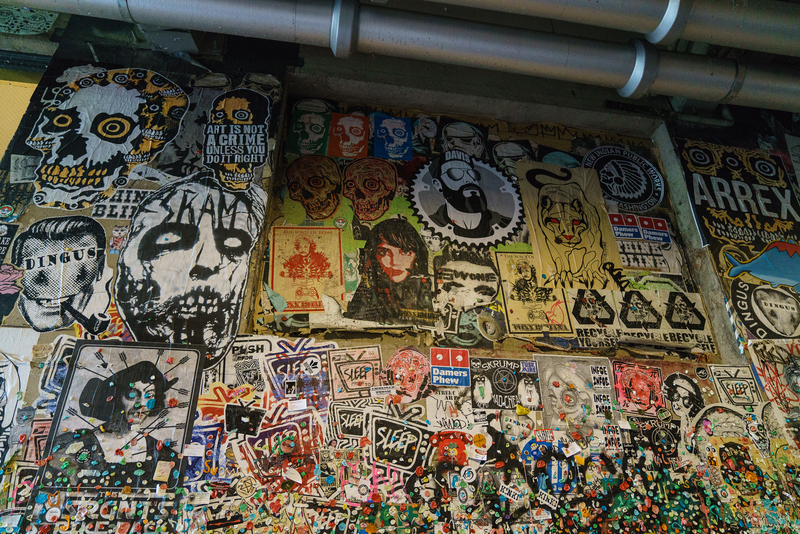 The gum interpersed with freaky art covers an entire side of an alley underneath Seattle's Pike Place Fish Market. Some of the interesting art that enlivens the Gum Wall. I like one of the captions: "Art is not a crime unless you do it right." Also: "Dingus."